"Mythbusters" tackles "Titanic" debate: Did Jack have to die? The movie is 15 years old, but the question still remains -- did Jack really have to die in "Titanic"? 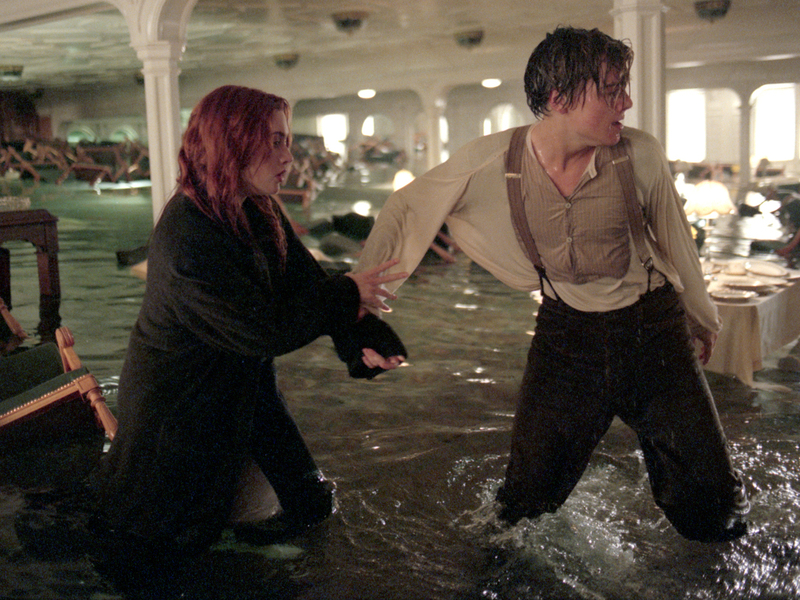 At the end of James Cameron's 1997 epic, Jack (Leonardo DiCaprio) froze to death in the water as he clung to the makeshift raft that Rose (Kate Winslet) was laying on. Some have wondered whether there was enough room for both of them on that wooden plank. Cameron responded last month by saying it wasn't a question of room, but buoyancy -- if both of them had tried to stay on the raft, he argued, the whole thing would sink. But the guys from "Mythbusters" decided to test the theory themselves. They discovered that if Rose had strapped her lifejacket to the bottom of the raft, there would have been enough buoyancy to keep both of them afloat. When they presented their findings to Cameron, he insisted that Jack couldn't be saved. "You guys are missing the point here," he told "Mythbusters" duo Adam and Jamie. "The script says Jack dies. He has to die. So maybe we screwed up and the board should have been a tiny bit smaller, but the dude's going down."